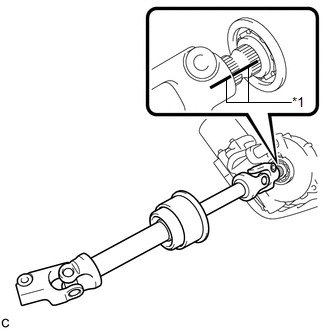 (a) Align the matchmarks on the steering intermediate shaft assembly and the steering column assembly. (a) Check that the 2 bushings are securely installed to the steering post assembly. 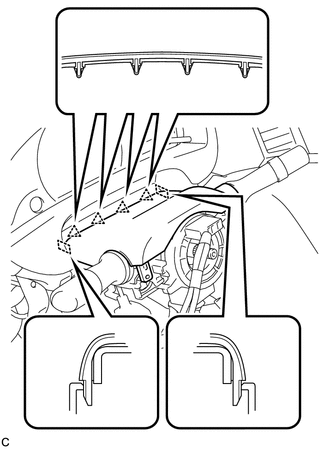 If the bushings are missing or damaged, replace the steering column assembly with a new one. 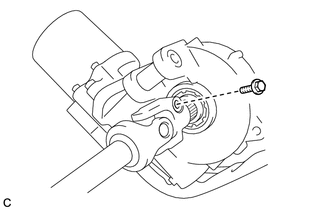 (b) Install the steering post assembly with the bolt and 2 nuts. Do not damage the 2 bushings. 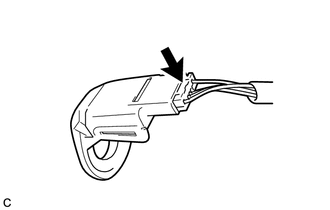 Do not line up the bolt hole by prying on the collar or bushings. 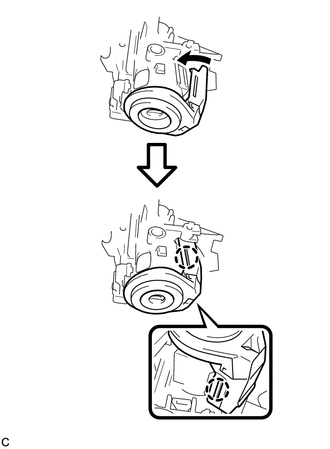 Only install the bolt in straight, without applying any force to the bushings. (c) Connect the connectors and engage the wire harness clamps to the steering post assembly. 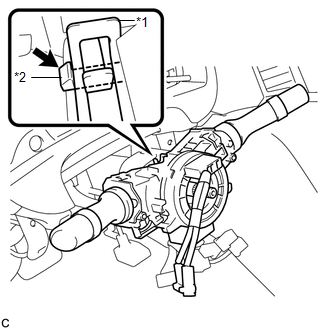 (d) Connect the connector to the power steering ECU assembly. 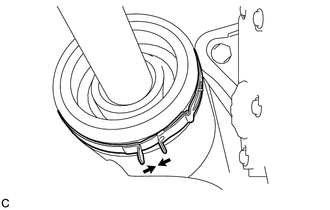 Return the lock lever to its original position to connect the connector, and then securely push in the lock of the lock lever as shown in the illustration. 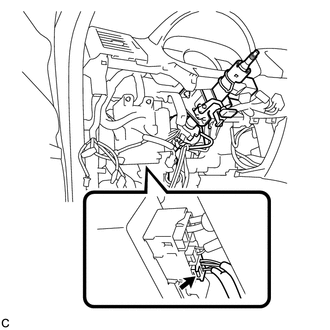 (e) Connect the connector to the power steering ECU assembly. 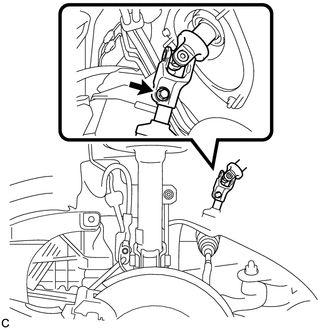 (a) Align the matchmarks on the steering intermediate shaft assembly and the power steering link assembly. (a) Connect the connector to the transponder key amplifier. 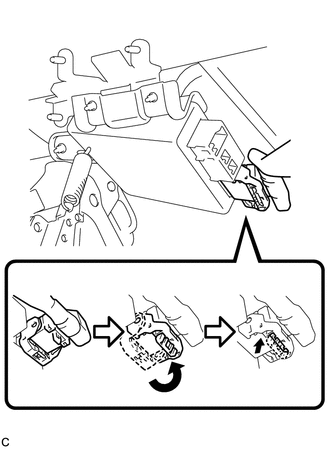 (b) Align the transponder key amplifier with the steering column upper bracket. Tilt the amplifier slightly and slide it into position. (c) Push the transponder key amplifier, and engage the 2 claws to install the transponder key amplifier to the steering column upper bracket. (a) Using pliers, expand the clamp. 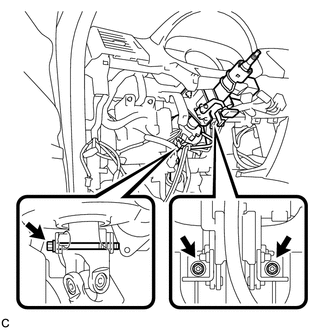 (b) While holding the clamp expanded, install the turn signal switch assembly with spiral cable sub-assembly to the steering column assembly and engage the claw. (c) Return the clamp to its original position. (d) Connect the connectors to the turn signal switch assembly with spiral cable sub-assembly. (a) Engage the 4 clips and 2 guides to install the upper steering column cover onto the instrument panel cluster finish panel. 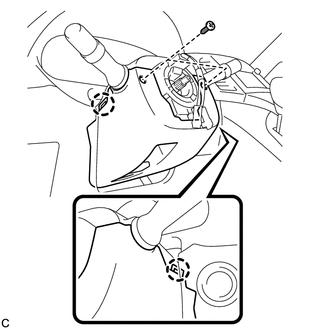 (b) Engage the claw to install the upper steering column cover. 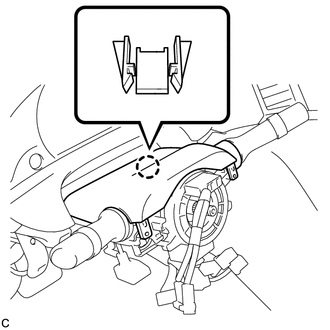 (a) Engage the 2 claws to install the lower steering column cover. 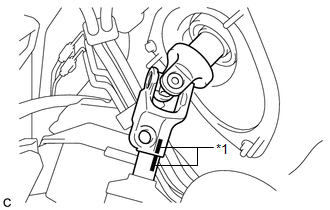 (a) When replacing the steering lock actuator assembly, perform the key registration (See page ). 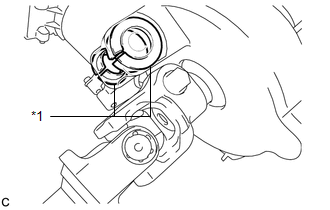 (a) When replacing the steering column assembly, clear the rotation angle sensor calibration value, initialize the rotation angle sensor, and calibrate the torque sensor zero point (See page ).